We specialize in providing onsite & off-site diesel engine repair,diesel engine overhauling & troubleshooting services for Industrial and Marine Diesel Engines. White Metal Bearing comes with white metal lined oil film support and meets the demands of plant operators as well as rotating equipment manufacturers. 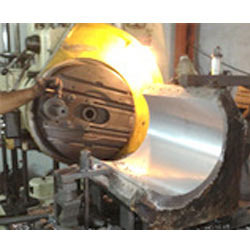 Finding use in industry sectors like oil and gas, petrochemical processing, power generation, aerospace, mining, marine, these are made available with CS housing support with white metal lining in bore and can be made available in different finish options including as thrust bearing, turbine bearing, journal bearing, sleeve bearing, main bearing, gear box bearing. Babbitt Bearing offered is available in standard as well as customized OEM finishes and finds suitability for use in high speed rotating equipment like chillers, electric motors, compressors, pumps, turbines, locomotives and gear drives. 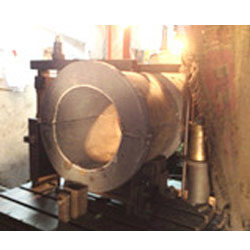 We can make it available in different options including Self-equalizing, Thrust, Journal, Tilting-shoe, Tapered land, Sleeve using both centrifugal as well as static casting processes. White Metal Thrust Bearing is designed to take heavy down thrust loads and is ideally suited for heavy duty working. Also suitable to be used in areas of heavy thrust load, heavy journal load and high speeds, these are highly effective in areas where continuous operations are desired under demanding conditions. These come with quality grey cast iron split housing with support of spherical seated inner bush which allows for easy alignment and maintenance possibilities. White Metal Rotor Bearing is durable and precision engineered bearings that come integrated with CS housing support. It provides working as spherical seated inner bush that allows for easy alignment and maintenance. Further, it is made available with durable housing support that is duly pressure tested. 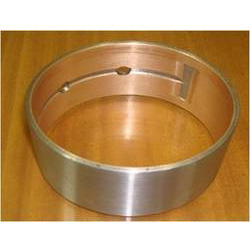 Finding suitability for use in automobile sector, the dimensionally accurate bearing support makes these also suit the needs of agricultural, textile and other machinery & engineering applications. Thrust Pad Bearing is precision designed and constructed range of hydrodynamic thrust bearing that can be made available in flooded lubrication/directed lubrication style finish. Finding suitability for use in high speed turbines, compressor, gear drive and generator applications, the bearing is designed for directing oil from opening in base ring, thus allowing reliable operations with lower oil flow needs. Further, the superior lubrication support provided also helps in reducing bearing power losses, working in lower operating temperatures and brings significant enhancement in load capacity. Pedestal Bearing offered is split type bearing which find application in handling higher speeds, heavy loads as well as large sizes. These bearings are made using cast iron pedestal/block with sole with two mild steel bolts and nuts. 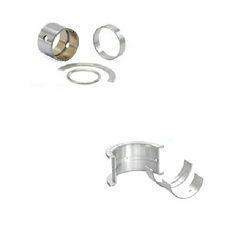 Further, these bearings allow easy placement and removal of shaft at any place as well as help in achieving perfect adjustment for wear in brass by screwing of cap. We can also customize it in specifications as provided by the customers. We provide excellent quality Engine Bearings. 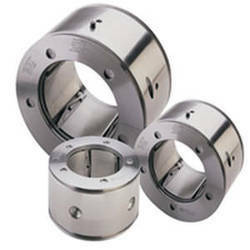 Our organization understands the requirement of undersized and special bearings after the repair of crank shaft, thus we offer quality and durable bearing, which is widely used in different industries. Further, we also have provision to offer branded bearings from Europe, Japan, Korea, Singapore including bearing manufacturers like Federal Mogul and Miba. We can supply a complete range of engine bearings at competitive prices and also specialize in providing both standard, undersized and special size of bearings. Rebabbitting Services offered by us of last more then three decades of experience applies latest generation of ultrasonic testing equipment and calibrated measuring devices to assure accurate dimensional and bonding of white metal with the shell after rebabbitting of Bearing is executed. We are one of the most prominent name in the industry that has been engaged in manufacturing, supplying and exporting an unmatched gamut of Hydrodynamic Bearing in the market.